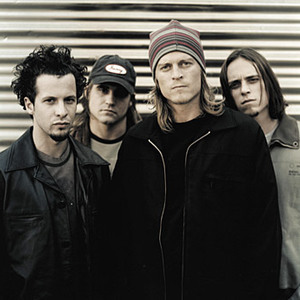 Puddle of Mudd is an American post-grunge band. They achieved success on rock radio and some success in the mainstream, and their major-label debut Come Clean has sold over 5 million copies. To date the band has sold over 7 million albums, and have had a string of #1 mainstream rock singles in the United States. The original incarnation of this band was formed in 1992 in Kansas City, Missouri. In their hometown, they released their debut album "Stuck" in 1993, followed by "Abrasive" in 1996, to little commercial success. Following the break-up of this intial setup, a new version of the band was formed in Los Angeles by vocalist Wes Scantlin.